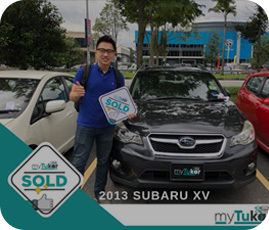 Sell Your Used Car with myTukar Now! Make an appointment via phone / website and bring your car for inspection. Proceed live bidding or sell directly with us. Let us settle the paperwork and transfer payment to you. Lot CP-03 Car Park, Kompleks Membeli Belah Giant Cheras, Lebuhraya, Lebuhraya Cheras - Kajang, 43200 Batu 9 Cheras, Selangor. 1Lot 5639D, Jalan Bangau 10, Bandar Puchong Jaya, 47100 Puchong Jaya, Selangor. No.1 Jalan Temenggong, Lot 1604 Batu 5 Off Jalan Tebrau, Johor Bahru, 81100 Johor Bahru, Johor, Malaysia. What is MyTukar & why should I choose MyTukar.com? 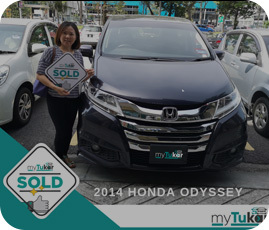 myTukar.com is a "ONE-STOP Solution" to sell your car Fast and Hassle-Free. We will help you to valuate, inspect and sell it at higher value through transparent "LIVE" bidding. The whole process is fast, secured, transparent & free for all users. What if I still got a bank loan on my car? Will MyTukar Help? myTukar accepts all used cars with outstanding bank loan and our Client Experience team will guide you through the hassle-free process of settling your bank loan. Please kindly submit your car details for inspection booking or feel free to contact us to know more. What types of vehicle can I sell at myTukar.com? We accept all used car registered in Malaysia up to 20 years old. However, we don't accept re-conditioned (recon) car registered under AP personal and AP student. For more information, please contact our Client Experience team. Can I sell the car on behalf of my friend, family or company? For friends & family: Yes, you can bring the car for inspection on behalf. However, owner required to be present for verification and transfer of ownership (through thumbprint system) during handover process. How should I contact MyTukar.com for more information? What is myTukar's Operating hours? Our Inspection operating hours is Monday to Sunday, from 9.30am till 6:30pm. How does myTukar get higher offers for my car than others? We have a nationwide network of more than 1,300 used car dealers throughout Malaysia (including Sabah & Sarawak), in which buyers will place their highest offer through our transparent live bidding session, we will provide the login details so you could experience the transparent process live. May I know the selling process? 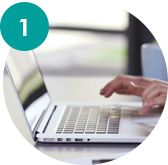 Step 1 : Fill your personal and car details at online submission form. Our dedicated staff will source market value for your vehicle within 24 hours. Step 2 : Upon your acceptance of the offer price and T&C, you may proceed to Inspection appointment with MyTukar.com. Your car details will be published to our bidding platform on the next business day. Payment will be done within 24 hours to your personal account via Interbank GIRO. 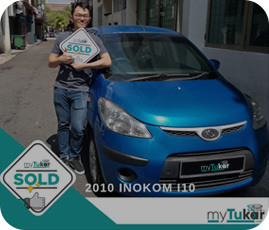 Is there any fee to sell my car through MyTukar.com? What if I don't have time to go for an inspection at mytukar? Mobile Inspection – Our inspector will come to your place for inspection. This only costs RM50.00 per vehicle. Mobile Handover process – We will come to you for handover process, transfer ownership and collect the car sold. This only costs RM150.00 per vehicle. Can I see the bidding progress? Yes, our bidding platform is trusted & transparent. You will receive our "Live" bidding login details from our client experience team once you car is inspected and listed on the bidding session. Can MyTukar.com help me to do paperwork? Yes, will help you to do all necessary paperwork to sell your car. Example, JPJ transfer ownership, payment, bank settlement. 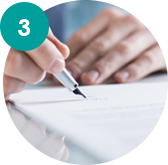 As a customer you need to provide us the authorization letter, bank settlement letter for us to help you. Do I need to go to JPJ for ownership transfer? No need, myTukar.com will help you to do transfer ownership via thumbprint and settle the process for you. 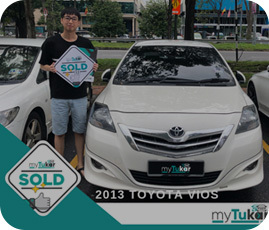 Ready To Sell Car with myTukar?